From laying the foundations for the perfect patio to creating a seamless finish on block paving joints, Marshalls’ range of paving sands are an essential part of any project. Whether a scheme needs grit paver sand to create a stable base for paving, 0-2mm building sand for construction purposes, or fine general purpose sand, Marshalls has an extensive range of robust, easy-to-use products. 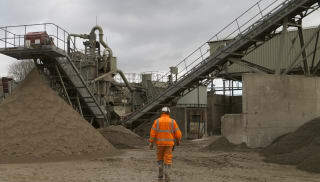 Scout Moor Quarry in Edenfield, Lancashire provides building and paving sand formed from a Namurian Mill Stone Grit, while Howley Park Quarry in Dewsbury, West Yorkshire, provides sand milled from a light Ferruginous Sandstone. 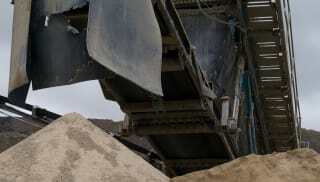 All of the Marshalls building and paving joint sand range meets British Standard regulation requirements or higher. 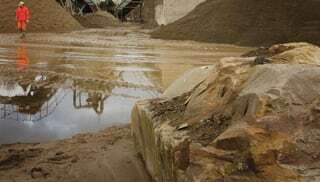 For advice on the best sand for any project, get in touch with the Marshalls Sand and Aggregates team now.